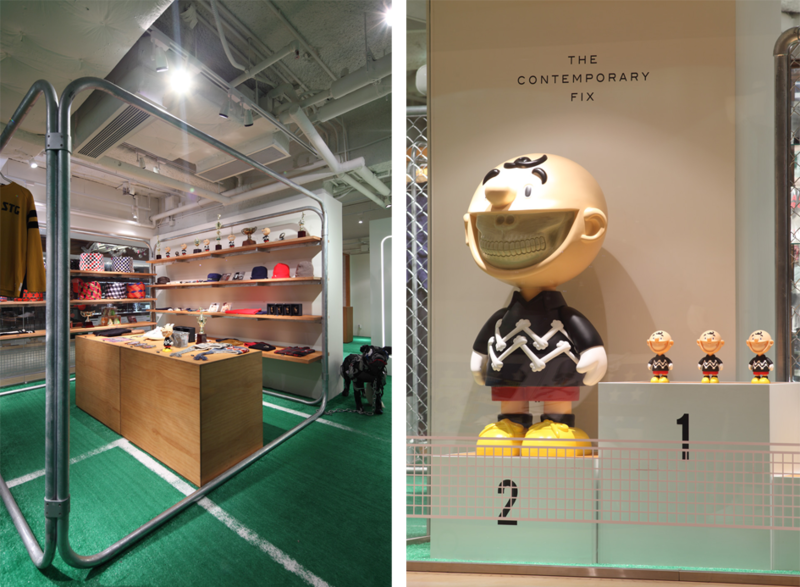 The concept shop THE CONTEMPORARY FIX opened its second location in the first basement "Woodhouse" retail section of Hong Kong's Chungking Mansions. 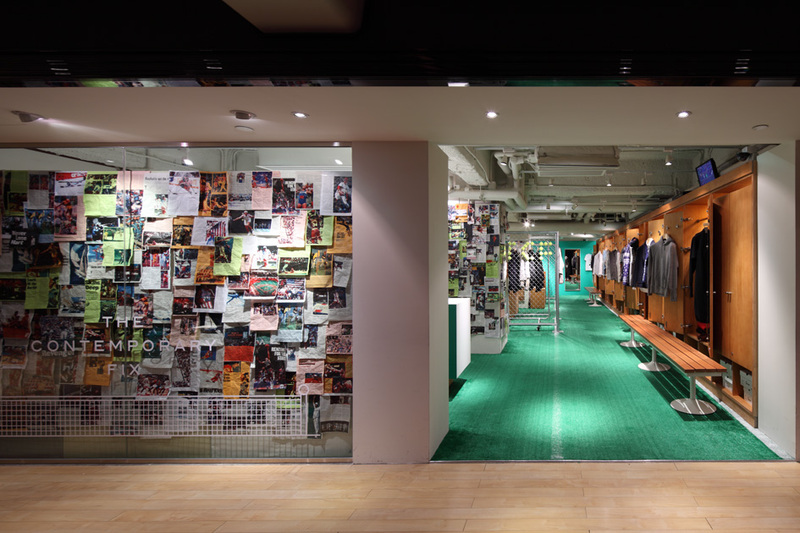 The shop's director determined the theme for the store would be that of "sport", which Jamo interpreted through a modern lens and carried over into the overall design and interior decorations.By using actual athletic equipment, the interior blends a sense of the real and the unreal, thus expressing the feelings of tension and elevation inherent in sport. 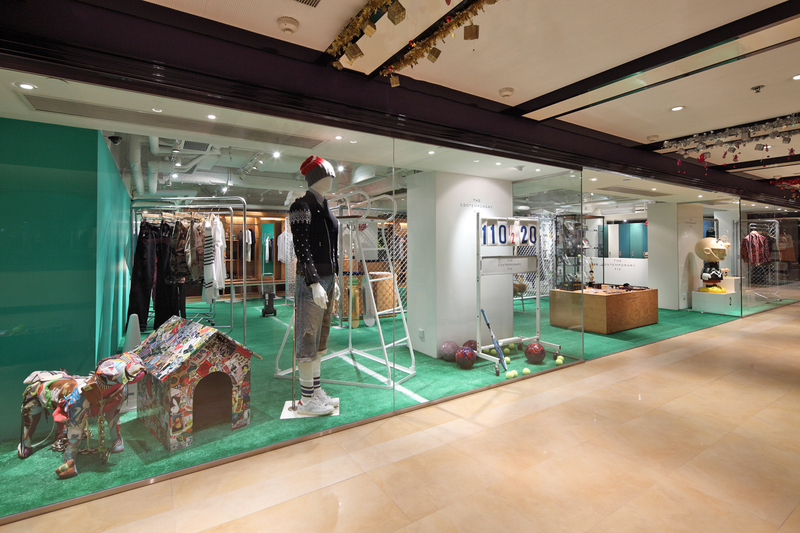 In particular, the use of chain link fence makes it possible to show product in diverse ways. 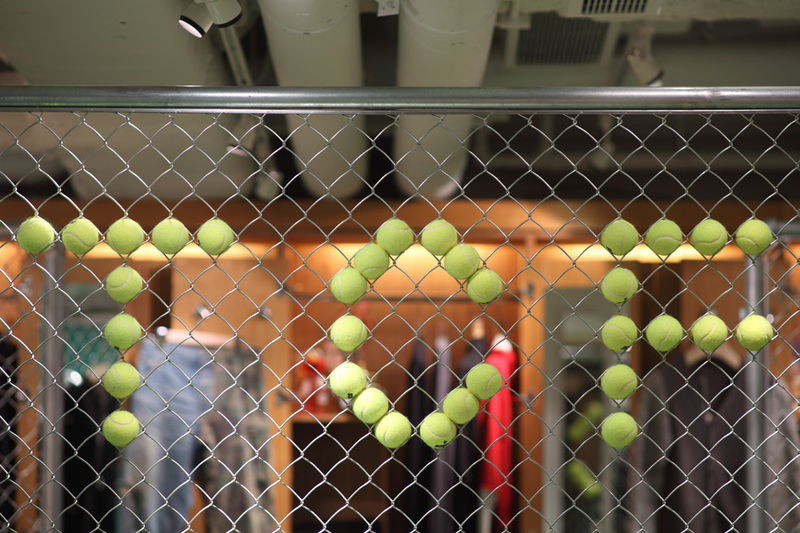 Beyond its effectiveness as a visual element, the fence introduces a natural route for visitors to take, allowing them to glimpse beyond to the back of the space and creating a sense of expectation as they explore the shop. 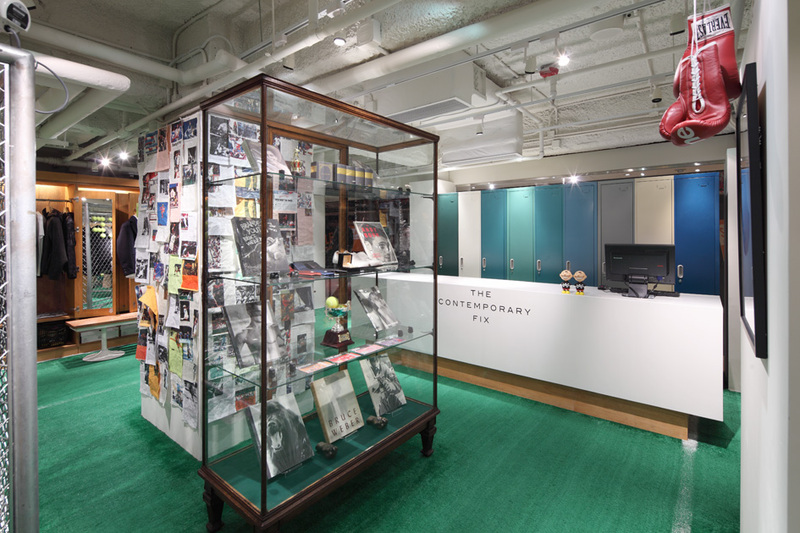 The store could be said to be the kind of experimental space only an actual functioning shop can present.